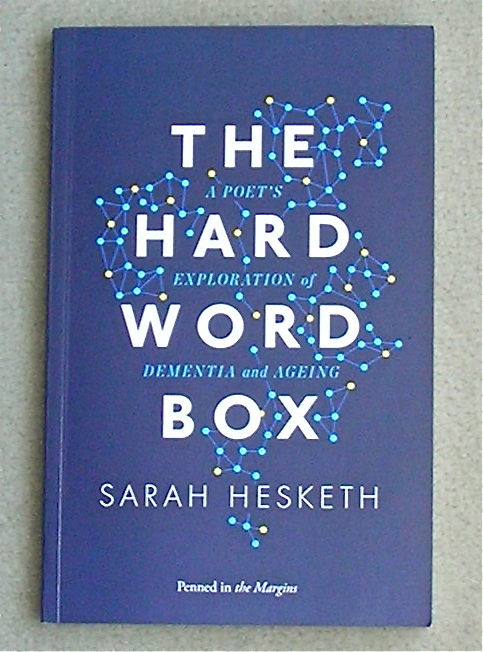 This entry was posted in POWs, Reading, Writing notes and tagged A Place in the World, ageing, book reviews, Cinda MacKinnon, Coffee Farm, Columbia, Columbian cloud forest, dementia, Far East POWs, Highgate Poets, Mary Hastilow, Paul Stephenson, Richard Flannagan, Robert Peake, Sarah Hesketh, The Hard Word Box, The Narrow Road to the Far North, The Space It Might Take, WW2 by hilarycustancegreen. Bookmark the permalink. I am always curious what others are reading so enjoyed these reviews. “A Place in the World” sounds intriguing. I am such an unsuccessful “simul-reader”, Hilary, capable only of reading one book after another. When reading a book of poetry, do you dip in occasionally for one or two poems or read cover to cover? I’m a serial book-reading sinner and have at least one down and one upstairs. Poetry – I sometimes dip and sometimes read cover to cover – but never front to back. 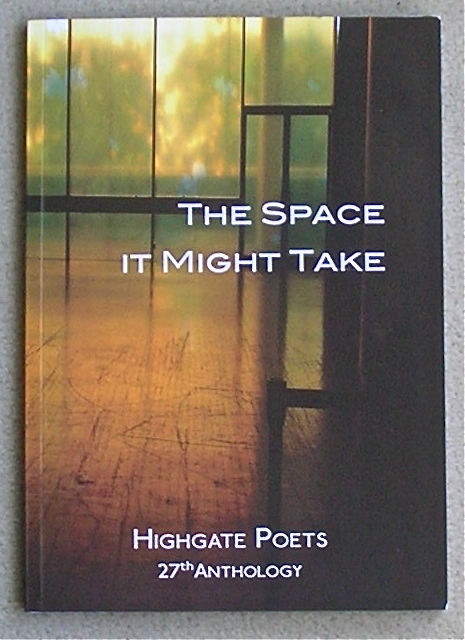 With the Highgate poets, I read a few, then came back a couple of times, then started in the middle and read both ways to the end. Illogical? I read The Hard Word Box in the same way. Interesting. 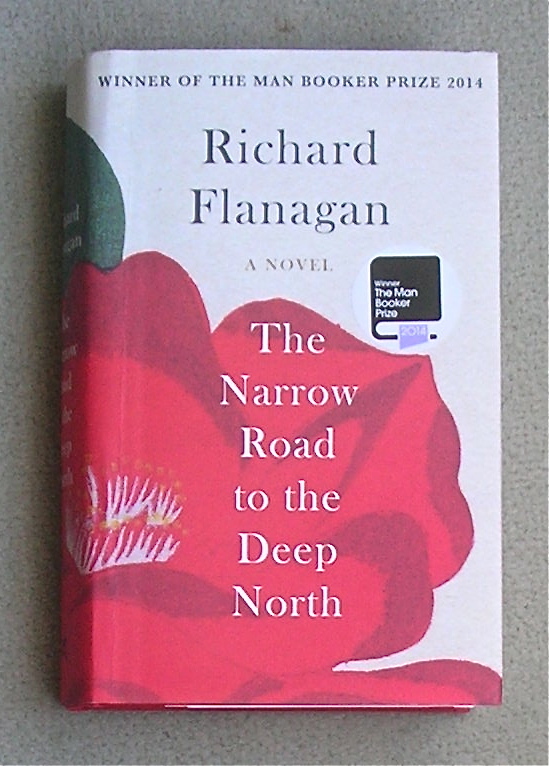 I too found The Narrow Road to the Deep North not as good as I had been hoping. I found it difficult to believe that main character’s family wouldn’t have heard [anyone who doesn’t want a spoiler stop reading now] that his cousin’s wife was still alive, which was critical to the ending of the book. And it spoiled it for me. I agree, style is according to the writer’s personality, but plotting flaws are avoidable and someone must surely have muttered about this. Hmmm. I have started buying ‘real’ books again from Waterstones in the high street. I have a copy of Pevsner to browse through, a new moth guide and Simon Barnes’ book Ten Million Aliens. Only three unless you count the 3′ high pile of home renovation magazines and catalogues. I shall be looking for the Idiot’s Guide to Bankruptcy soon. Pevsner is all you need for the time being. Enjoy. Grow your own vegetables, keep chickens? I am re-reading old stuff, including children’s books. Right now a delightful little boek callled “Kattekwaad en Poppenrommel by Margriet Heymans. A tale of what cats get up to during the nights and days. Amazing adventures, well written and glorious illustrations. Magic really. If I go near the children’s shelves I am lost for hours. The Hard Word Box is fascinating, don’t know if you will be able to get it in Oz. Hmm, The Narrow Road is definitely a sad war story, so if you didn’t take to it, you might want to give it a miss. I am very excited today as a new book Our Endless Numbered Days (Claire Fuller) has just arrived. This will be available worldwide eventually. I love her short story writing and I have been looking forward to this. A Place In The World is the one I would pick. Right now my nose is buried in two books – The Book Thief and The Path of The Swan. But reading the former most of the time. Yes, The Book Thief is on my list too, but it’s a fearsomely long list. 😀 I am sure you will love The Book Thief! 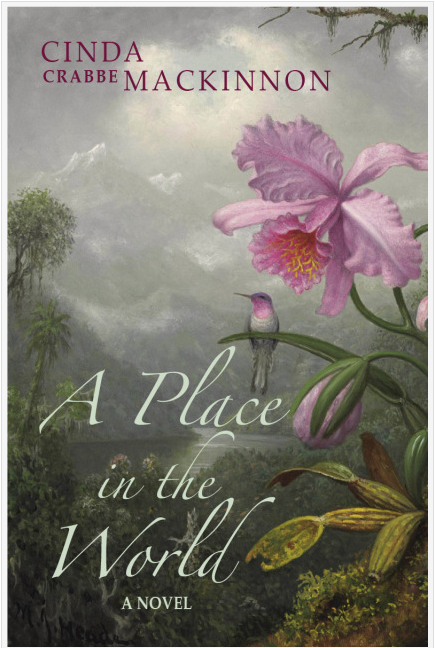 I’ve just downloaded ‘A Place in the World’ by Crabbe Mackinnon on to my Kindle. Very interested in anything Latin American at the moment, as my son is in Ecuador at the moment. Enjoy! My daughter is in Costa Rica… they get about don’t they. My son is in Costa Rica right now too -he was born there but hasn’t been back for some 15 years. He’s attending a wedding so should have a great time. This sort of exchange cheers me up. The next generation are moving happily around the world and perhaps we will all become a little less nationalistic and more curious and open to other cultures. Charlie – what a pleasure to read this note on Hillary’s blog. You’ll find ‘ A Place in the World’ has a lot about Latino culture as well as the natural history. Thanks for being a reader – I hope you enjoy it. Hilary you read my novel! And even reviewed it on your website. Thank you, thank you for this lovely surprise! I’m really looking forward to “Writing to a Ghost.” (“Unseen Unsung” is also on my to-read list.) Cheers! I really enjoyed the atmosphere of a place in the world. I only wish Writing to a Ghost was near to publication. Still this time last year Border Line was only a manuscript. When I start reading four books simultaneously, I tend not to finish them. I forgot that your daughter was living in Costa Rica. She must like it a lot there. I usually get there in the end, I have a sort of Puritan conscience about finishing tasks (not necessarily a good thing). My daughter was only in Cost Rica for a month. She is at home now, but is liable to set off for other parts at any time.